Automate secure content and records management, from creation to disposal, to regain control of your assets and mitigate risk. Improve the efficiency of staff and systems. Automatic classification, folder creation, policy application, and advanced disposal processing reduces errors and manual tasks. 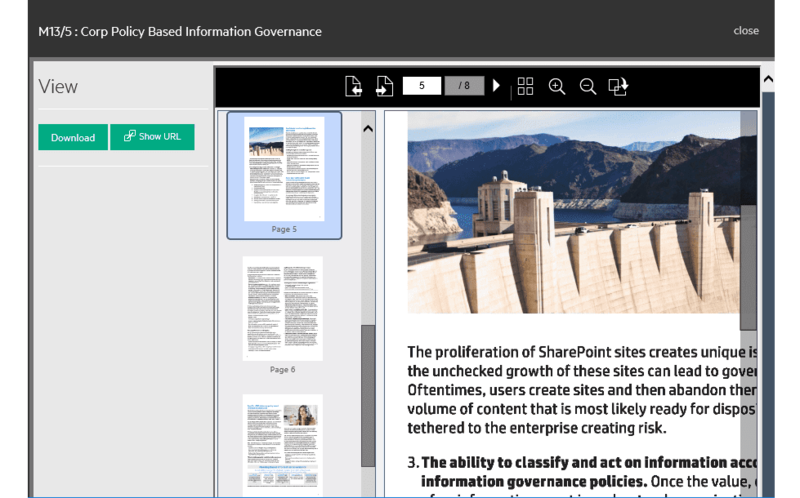 Integration with Microsoft Office 365, OneDrive, and SharePoint enables the transparent and compliant management of critical content and records without negatively impacting the collaborative or cloud experience. Extensive security and access controls improve privacy for managed content while simplifying the defensible disposal (according to policy) of content that has expired or has no residual value. Pre-packaged government, life sciences, and financial services policies lower retention management cost and complexity. Policy automation across multiple jurisdictions simplifies compliance with regulatory mandates such as privacy, freedom of information, FRCP, or DoD5015.2. Functionally rich, zero footprint web client reduces IT resources and cost to implement, while improving authorized real-time access to business content, contacts, and workflows in the field across a range of devices. Geo-location functionality and search integration with Google Maps simplifies asset management by aligning content, contacts, geographical data, and policy in one application. 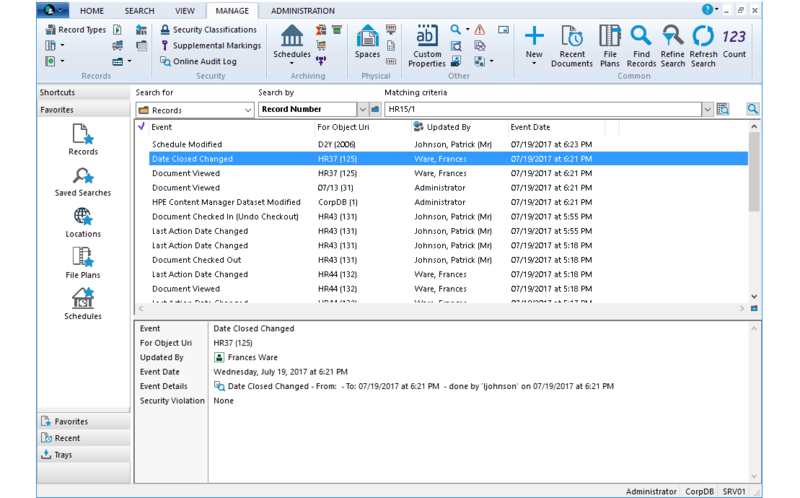 A customizable full desktop interface for complete access to functions from Inquiry up to Administrative Roles. Users with applicable permissions can view and report on a full range of audited objects in the dataset. From system configuration to individual document updates, audit events can be viewed online or offline. The zero footprint web client has in-browser document viewer that allows users to quickly preview documents. A web interface to view and complete actions enables users to make task management simple. 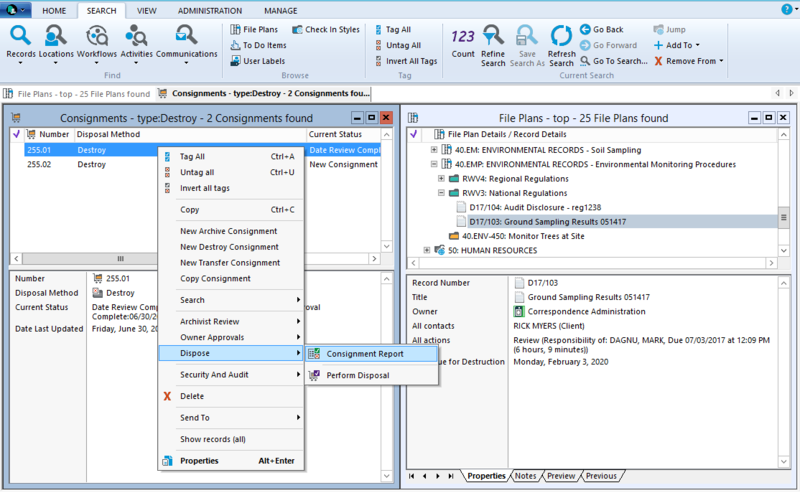 The open architecture of Micro Focus Content Manager enables us to integrate it with other IT systems used by HRT, supporting TV and radio program production, so that one central, integrated platform is used for all document and records management. Micro Focus Content Manager has helped us enhance our record keeping obligations to meet our compliance requirements, and the value of the information for the Shire has increased since it’s much easier to find and retrieve documents and records from the system. Read how Content Manager helped RBF Tasmania halve data migration time, shrink annual operating costs by $400,000, and reduce risks. 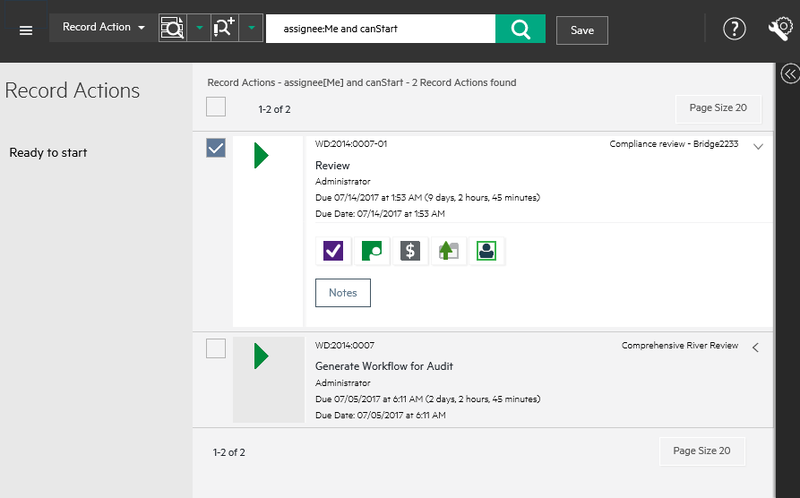 See for yourself how Content Manager can help you address compliance, productivity, and information privacy using automatic classification, policy with linked security control, manage-in-place functionality, and feature-rich mobile access.